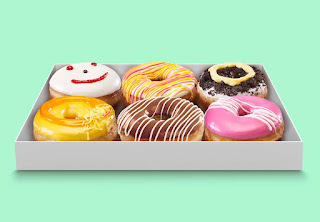 Dunkin’ Donuts (DD), the All-Day Part Food Cafe, has today launched a new and exciting range of donuts, ‘DunkyDoos’ designed especiallyfor kids. The new fun and creative range has been developed keeping in mind the tastes and preferences of the younger audience. The new DunkyDoos assortment consists of 6 new, colourful, and cheerful donuts in range of flavors that kids prefer. These have been designed in a fun, creative manner to add to the overall playfulness that will appeal to the kids. Dunkin’ Donuts in India is positioned as a Food Café, occupying the sweet spot between Cafés and Quick Service Restaurants. Known for a signature menu consisting of the popular Death by Chocolate Donut, Alive by Chocolate, Break-up Party Éclair, Big Joy Burger, Naughty Lucy Burger, Too Much Burgers range, Wicked Wraps, Dunkaccinos, Bangalore Startup Coffee and many more, Dunkin’ Donuts has struck a chord with its audience and continues to innovate in the donut, food and beverage space.